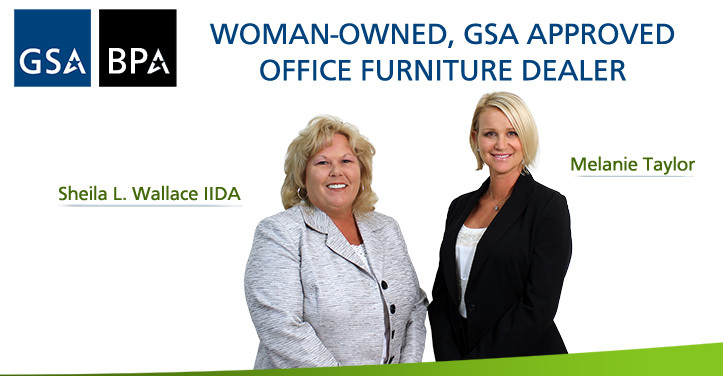 Studio 71 Office Furnishings, LLC is a woman owned and operated small business in Jacksonville, Florida who hold both a GSA and BPA schedule. GS-28f-019da, BPA N0018917A0038. Our team has combined experience of over 50 years in working with federal, state and commercial furniture sales, layouts and installation. With that knowledge and experience we're confident we can help any office select the best products to accommodate their budget, no matter how large or small. So, avoid making costly mistakes; and use our design, layout and installation services to put our team to work for you. We also provide office furniture to many municipal, state and federal agencies. In fact, Studio 71 was organized with the specific intent of creating a better way for government organizations in North Florida and South Georgia to purchase their furnishings from a highly-reputable company that has both the agency and end users best interest in mind. 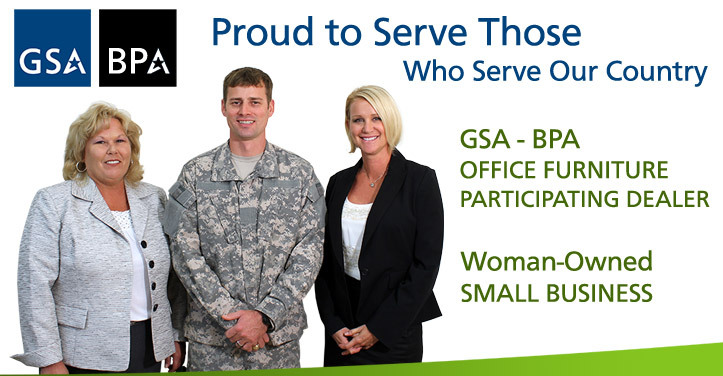 By partnering with numerous GSA Manufacturer Schedule Holders, we are able to service varying institutional needs with great pricing and office products that are in compliance with the specific agency. Whether you need one desk or a hundred cubicles, we can design and install the best solution for your office space. Once our product specialists see your space (or have been provided accurate measurements), we can furnish a professional layout designed to support your staff's workflow as well as satisfy your company's aesthetic goals. When you consider our outstanding customer services along with our handpicked selection of affordable, high-quality office furniture, Studio 71 can't be beat. Thank you for visiting our website and please let us know how we can improve your online shopping experience. We look forward to hearing from you soon.